I had this genius idea one day that I was going to try and make a whole Thanksgiving dinner in the crock pot. As awesome as that would be, I quickly figured out that I would need at least 5 crockpots and how the heck was I going to stuff a turkey into one? Yea, I don’t think a 15 plus pound turkey was going to fit into a 5 quart crockpot. But I would be able to use a crockpot for some of sides dishes. So I’ve started to experiment with my crockpot and some of my favorite Thanksgiving sides. 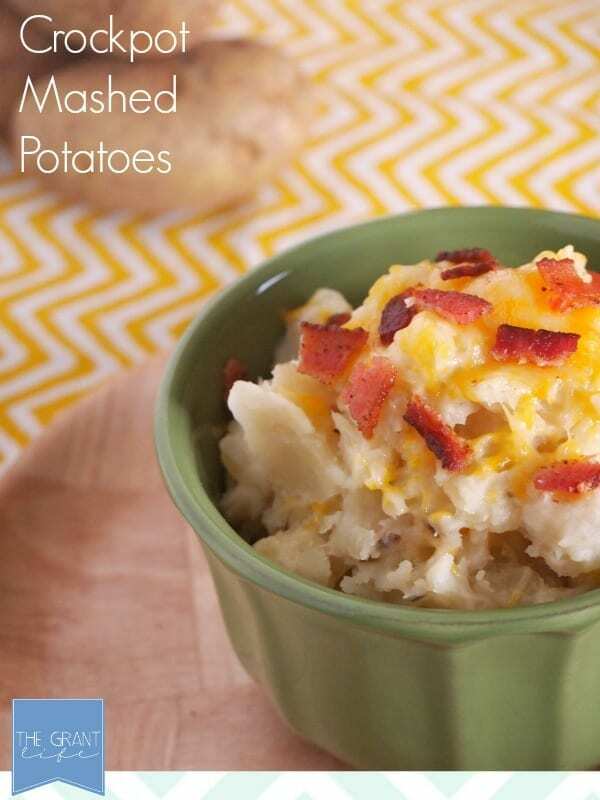 My first easy homemade recipe that I tried was crockpot mashed potatoes. And they were awesome! I knew that the crockpot would make some tasty taters but I was surprised at how good they turned out. They had more flavor then my normal mashed potatoes and took less effort to make. Thats what I call a winning recipe. I peeled and chopped the potatoes before adding them to the crockpot. I added the milk, water and my spices. After they were cooked for 4 hours on high I turned off the crockpot and let them cool for about 30 minutes. While it was cooling I fried up some bacon. Then I mashed them right in the crockpot. I added bacon and cheese as garnish. 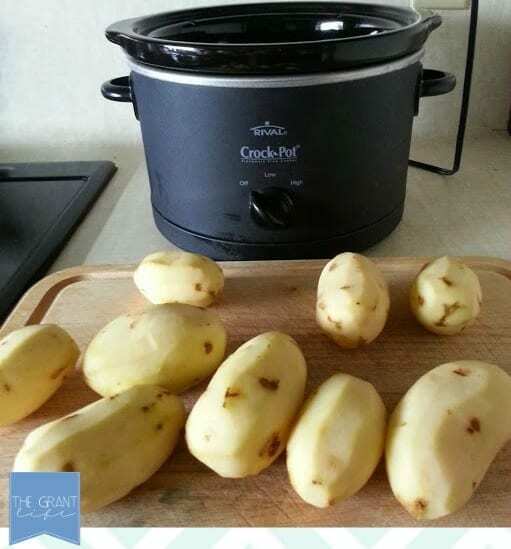 Peel and chop your potatoes before adding them to the crockpot. Pour the milk and water into the crockpot over the potatoes. Add your spices as well. Set to high for 4 hours. Let them cool for about 30 minutes. While cooling, fry your bacon. 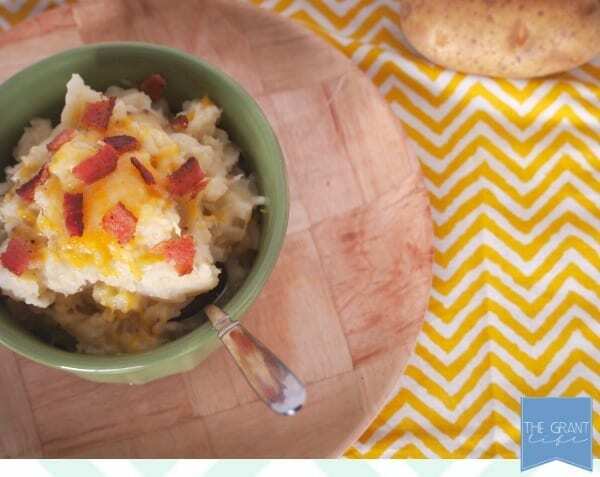 Mash the potatoes right in the crockpot. Garnish with cheese and bacon. This recipe made enough potatoes for about 4 adults. You may want to double the recipe for a large gathering of people. Great time saver when you have a big group. My mouth started watering at the first photo, so the recipe must also be. Thanks Debra! They turned out pretty tasty! 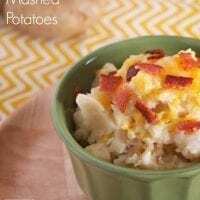 Easy mashed potatoes with bacon and cheese?? Yes please! 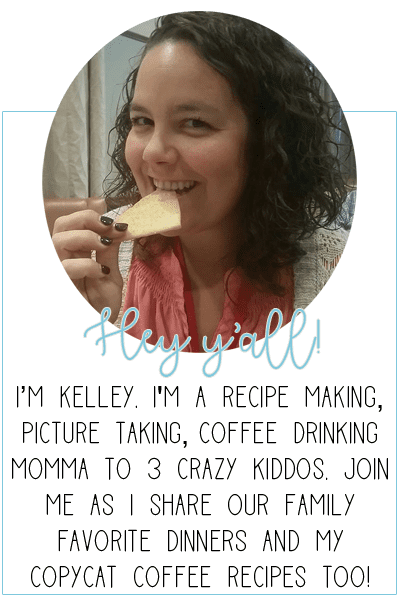 Pinned and just added to my Buffer to share on FB/Twitter. YUM!! I wonder if subbing broth for the water would add more flavor? I bet it would! Thats a great idea! Ill have to try it that way next time! Yes, broth makes them taste that much better! I started substituting broth for potato soup and it has transferred over to mashed potatoes wonderfully! oh my goodness, I am making these. thank you for sharing Hugs! hi! found your blog from my friend janiene @ A Bunch of Bishops. this looks amazing! trying this recipe soon!! If I were to double the reciepe for Thanksgiving, would I set the crockpot for 5 hours on high instead of 4? I havent doubled it before so Im not 100 percent sure, but that sounds like a good idea. Let me know how it goes! I always add milk to make mashed potatoes. Broth does add more flavor. The bacon & cheese sound great. 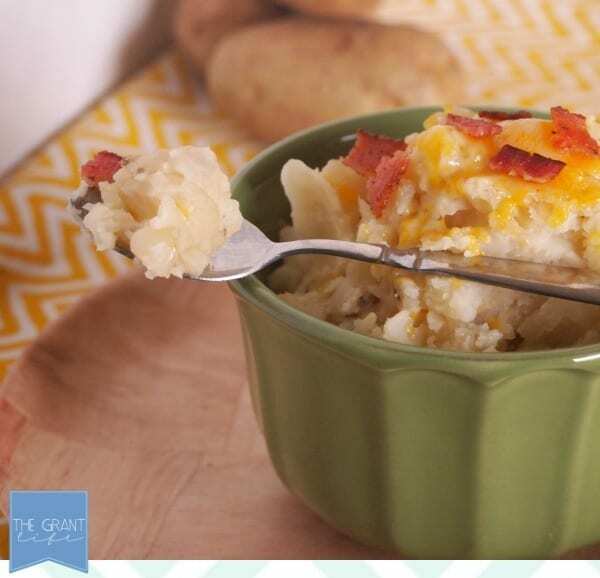 I’m assuming you wouldn’t use this recipe if you were putting gravy on top–too rich, but it looks like a great stand alone potato dish when you don’t have gravy, such as a ham dinner. Thanks so much!